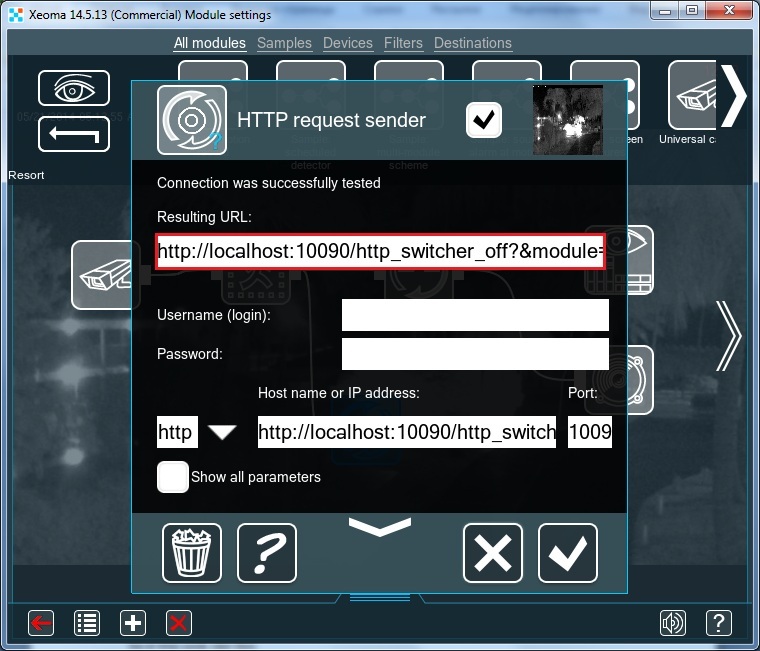 Starting from Xeoma 14.5.19, released on May 13, 2014, IP security cameras software called Xeoma offers to use its HTTP request sender module. 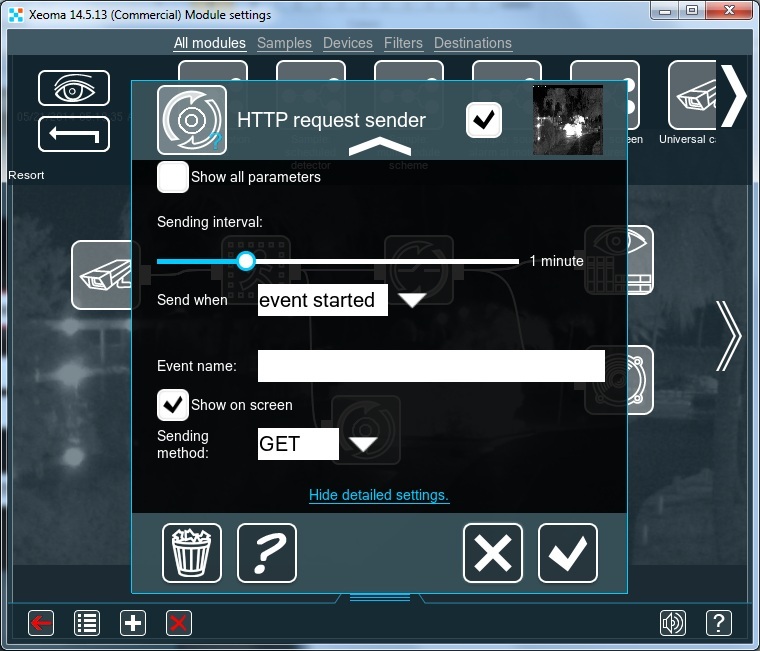 Here we see that “HTTP Request Sender” sends requests to enable sound alarm and archive recording when motion is detected, and disables it when the motion ends. 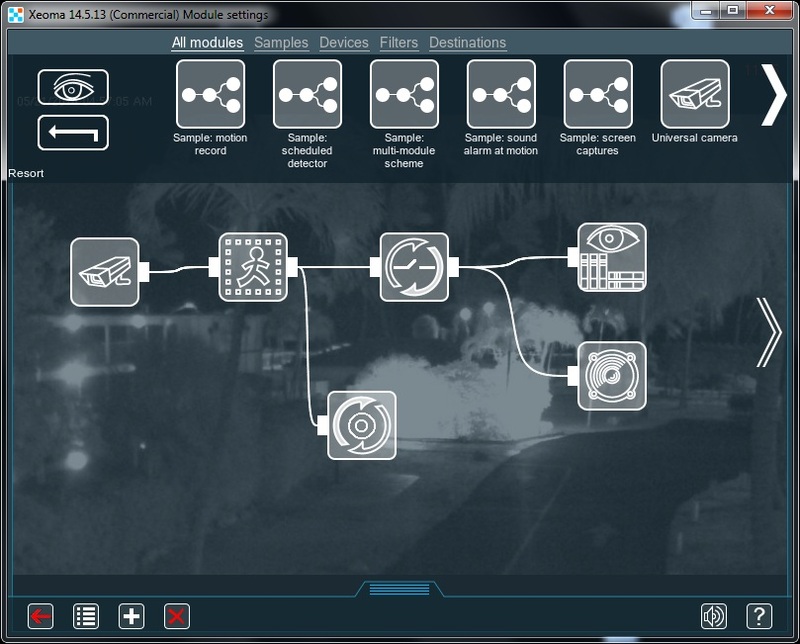 Please pay attention to the sensitivity level and the object size settings of the motion detector. Enter the URL and port of the HTTP server in boxes marked with red. When we entered the URL and port of the HTTP server, it appeared in the Resulting URL. In the detailed settings, set up the sending interval and time when you want the request to be sent. When you set up the HTTP Request Sender module properly and want to save changes, click on «OK». 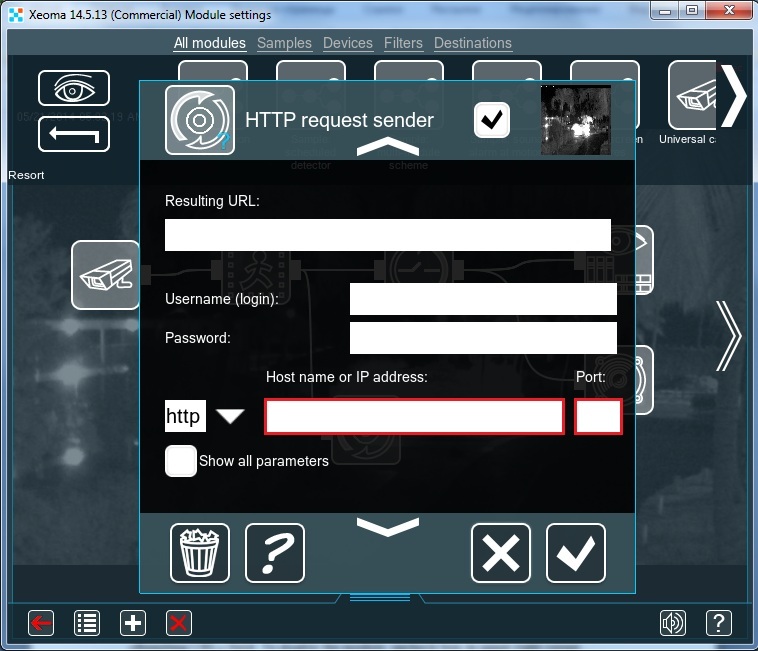 The module is set up easily and working with it is pretty simple since all the settings are comprised in one menu of Xeoma IP security cameras software.